NLP Stacking Anchors is when a number of anchors are stacked together to increase intensity of the required state. Elicit several instances of states and anchor them in the same place. Take a break between placing each one and test. 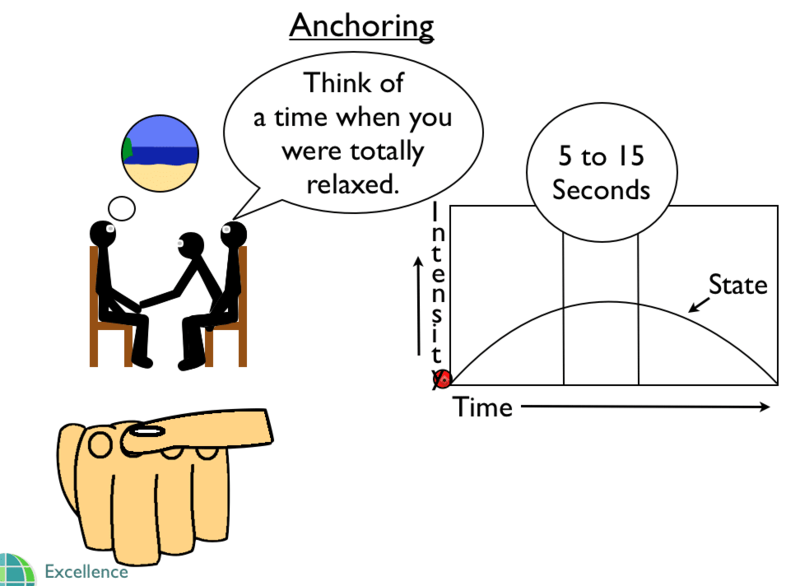 All aspects of anchoring are discussed in detail in our NLP Practitioner Training. You can learn anchoring at home by using our NLP training online.